1) Agates from Agate Creek North Queensland are world wide known amongst agate collectors as the most colourfull agates,with the most spectacular patterns . 2) Agate Creek agates are more and more difficult to find, let alone good ones! 3) Only about 30 % of those agates dug up, cut and polished are collectors items! 4) Agate Creek is only accessible by 4-wheel drive and is far away from any form of civilization and is situated about 500 km south west of Cairns, North Queensland. From 1965 till 1969 René and Nelleke Boissevain went back and forward from The Atherton Tablelands to Agate Creek, to dig up agate nodules in the unforgiven heat of a barren country , using only pick and shovel and being pestered by millions of flies! 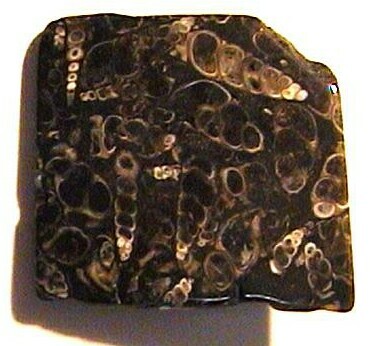 to cut agate nodules in half. sintered blades to do the job. The next step is the grinding down of the saw marks .. This is done by using a slow turning steel plate. than 600 and the final polish with tin oxide.. The method with vibratory flat laps is also used. Of course cutting agates is exciting ..
You never know when you cut that museum piece ! Once in a while that happens and it makes up for so many missers.! but sadly enough they're rare. Collecting agates of a good quality is an interesting and also profitable hobby! sweating, cutting, polishing and marketing. the world has best owed upon us. depends on where the agate is found. at a place in Queensland - Australia called Agate Creek. some of the most beautiful in the world. The agates we sell here on this site were mined during the mid '60's, in the unforgiving heat of the North Queensland Australian outback, René and Nelleke Boissevain used only pick and shovel to gather these agates. They are among the most rare and beautiful in the world. They were first noted by early gold prospectors in the Gilberton area south of Georgetown. Agates can be collected in many areas along the coast of Oregon. The areas around Newport are among the finest agate hunting areas in the world. Each year the supply of stone is uncovered by the tides. The years 1998 - 2000 were the best collecting years of probably the last 25 years. You can still find nice pieces of agate from small 1" pieces to ones that may weigh 1-3 pounds or even an occasional trophy of 5 pounds. rugged terrain, well decorated with cactus, weeds, and cedar trees (Zeitner, 1964). Lake Superior agates can be found on many Lake Superior beaches throughout the states of Michigan, Wisconsin, and Minnesota. Like all agates though, cutting and polishing them required some special equipment and skill. The Brazillian agate agates comes from the province of Minas Gerias which is located in the South American country of Brazil. Like all agates they have a hardness of 7 and are full of those beautiful coloured bands. Turritella agates were formed 40-60 Million years ago in a salt water sea that covered what is now Wyoming in the Western United States. A snail of the Turritella specie lived in the shallow waters of the sea. The shell of this snail had a small, long, tapering spire with many whorls. The shell material has been completely replaced by agate and chalcedony while retaining the dramatic whorl pattern. Laguna Agate is generally considered to be the most colorful banded agate in the world. It is found in a north-south winding mountain range due south of El Paso, Texas and east of Mexican Highway 45 in the state of Chihuahua, Mexico. Unlike many of the other Mexcian agate deposits which can be small, the Laguna agate can be found in lots of sites on the mountain for a distance of 4 miles or more. Most of these areas are in the top third of the mountain. Many of the claims do not have roads to them and have been worked by hand.